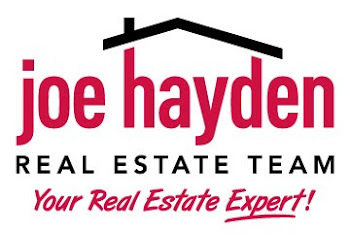 1240 Shadow Brook Rd, LaGrange, KY 40031 | Louisville Real Estate with the Joe Hayden Real Estate Team - Your Real Estate Experts! We challenge you to find a better property available than this one at 1240 Shadow Brook Drive LaGrange, KY 40031! 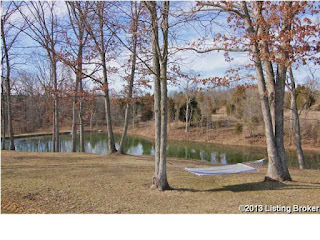 A quick drive from the LaGrange exit off of I-71, this 16-acre secluded retreat envelopes you in a peaceful surrounding. You are welcomed into this 5,686 sq.ft. 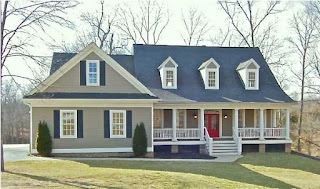 home by a comfortable covered porch and large lantern lights flanking each side of the front door. 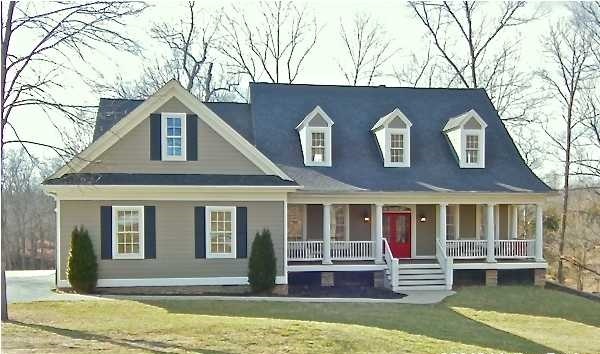 This craftsman-style cape cod home features Brazilian cherry hardwood floors throughout the main floor, giving the home a warm and inviting feel. The great room focuses on a massive stacked stone wood burning fireplace, along with soaring ceilings that extend to the second floor. On either side of the fireplace are two convenient built-in book cases. 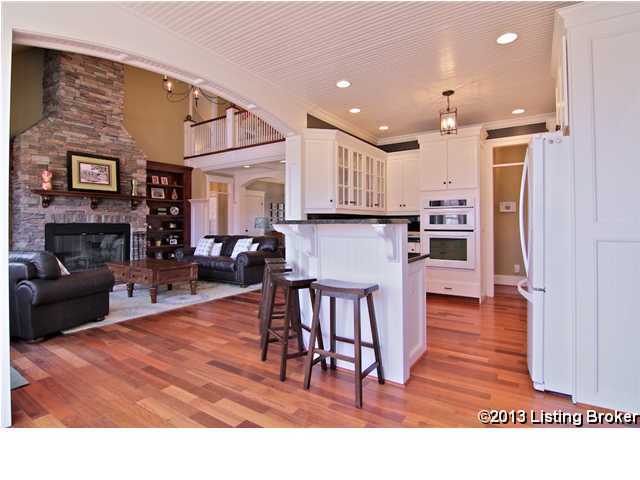 The large window in this room perfectly frames up the gorgeous view of the lake and wooded lot behind the home. 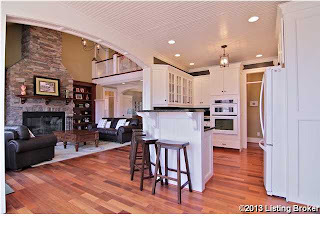 In contrast to the rough stone fireplace, the walls are detailed with the iconic wainscoting and coffered ceilings. The kitchen features granite counter tops and custom trim work, in addition to glass doors and custom cabinetry to make use of every inch of storage space, a must for every kitchen. The granite composite sink faces the breakfast bar and nook and has another stunning view of the inviting backyard and lake. 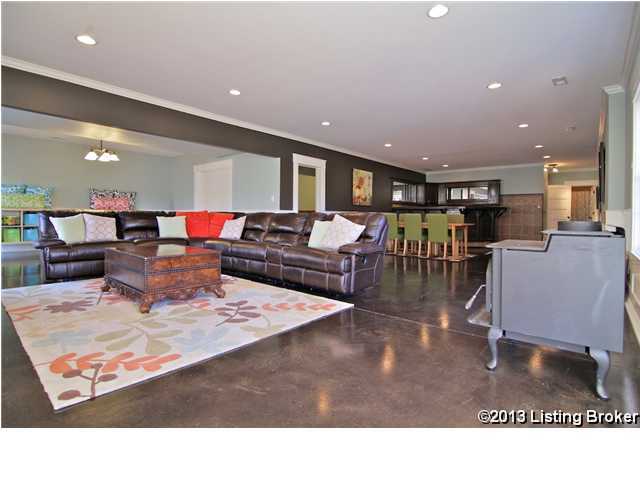 The split floor plan is ideal and there is even a laundry room/mud room connecting to the garage on this floor just off the hallway. 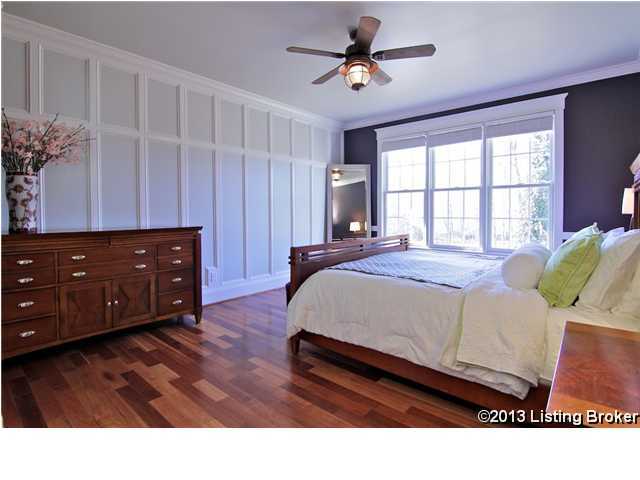 The master bedroom has an accent wall of wainscoting and a breathtaking view of the property. 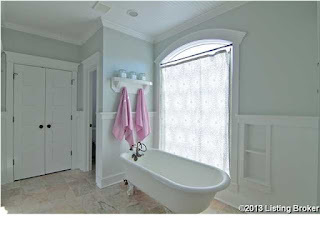 Additionally, the master bath is an updated version of the past with a claw foot tub and separate pedestal vanities. 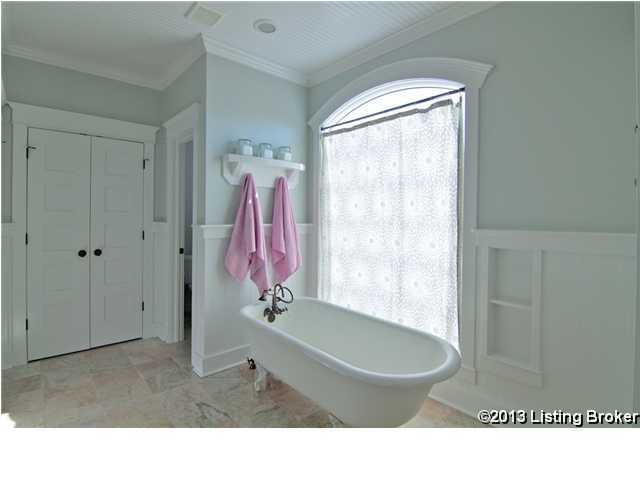 Walk-in closets, custom built-ins and a separate water closet create privacy and spacious storage. Marbled floors are the perfect complement to the woodwork in this one-of-a-kind room. The 2nd and 3rd bedrooms on the other side of the main floor have stunning views of the surrounding landscape. Dividing these two bedrooms is a full bathroom with double vanities and a very large linen closet. As you move towards the staircase found in the breakfast room/kitchen area, note the banister and custom millwork. On the 2nd level, you will find a generous guest bedroom with a full bathroom en-suite. This could be used as a second master bedroom if you so choose. The large closets are a must-see and you should be sure to open all doors and check out the shelving! 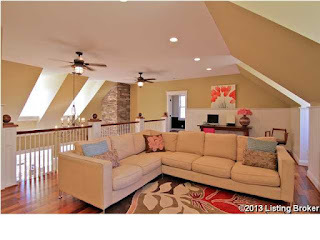 Around the corner, you will enter the loft that is a great family room area with its dormer window seats and classic lines. Keep going and you will see a huge bedroom currently being used as an office. 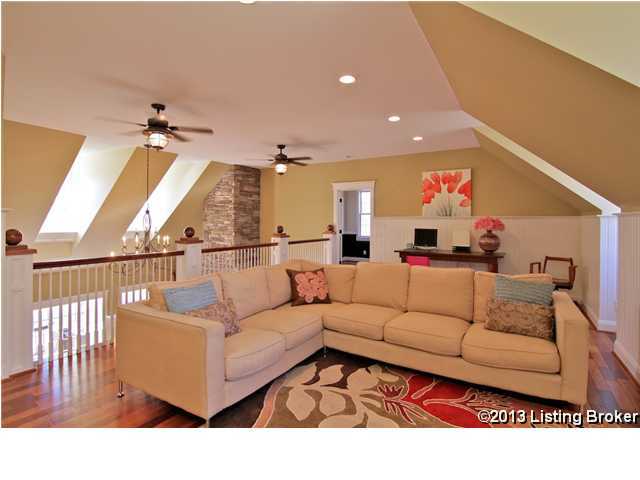 The views from this level are a great way to see all the property has to offer. The lower level includes another full bathroom at the foot of the staircase, as well as a very large second laundry area with a craft desk. 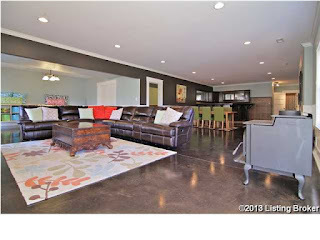 To the right you will find an expansive entertainment area, including an alcove for media, a fun full bar area, a dining area, a family room area, an exercise room, a game table area and two doors going out to decks overlooking the lake and creek. Be sure to walk outside and take in the view. Breathe, relax and wander around at your leisure. Check out the fire pit, barn and hen house. Imagine farm fresh eggs being gathered for a leisurely brunch. 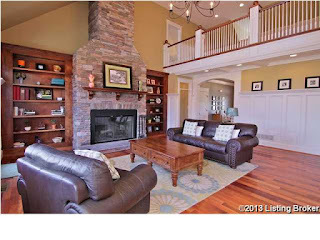 Don't miss your opportunity to own a real architectural beauty in Oldham County at 1240 Shadow Brook Drive. 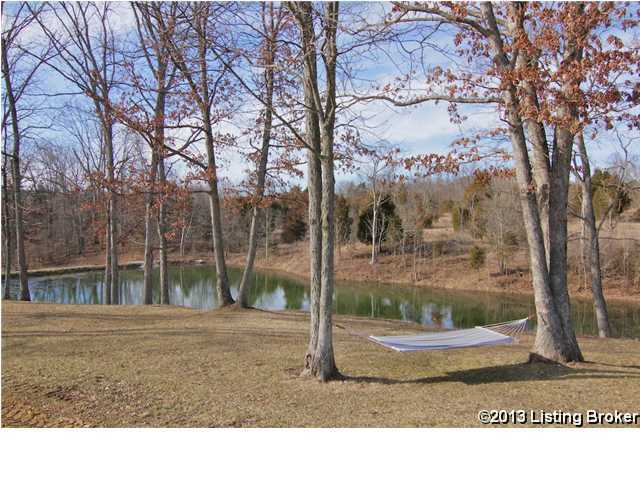 Make plans to visit this peaceful retreat as soon as you are able! !